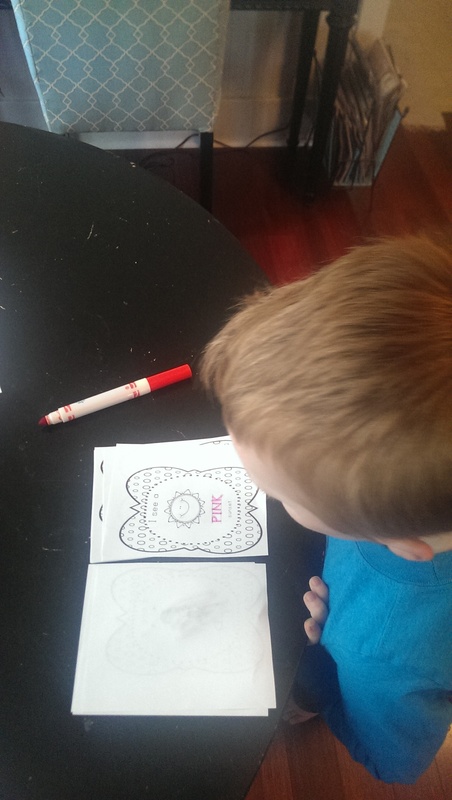 My little guy loves these Zoomin’ Movin’ alphabet packs from Royal Baloo! We began the week with the R is for Rocket printables. 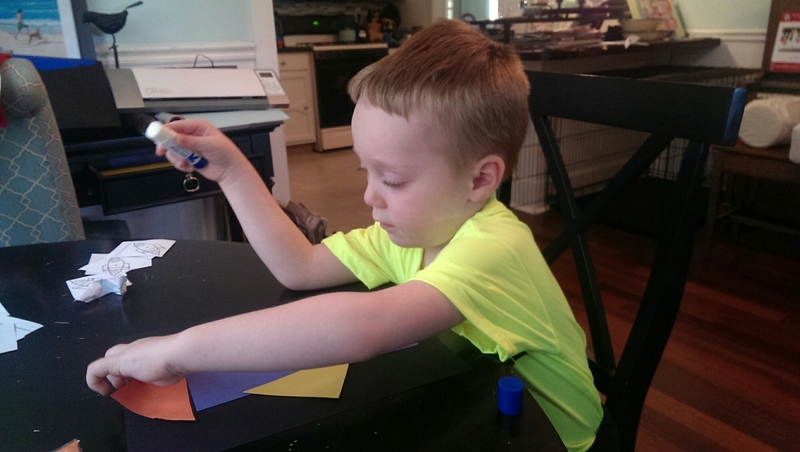 I also cut out a long rectangle, three triangles and a flame shape from different colored construction paper and asked him to construct a rocket from the shapes. 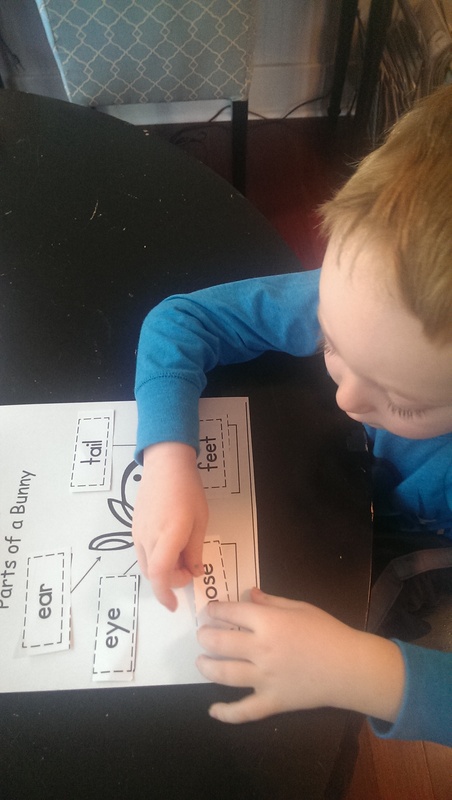 This activity was a big hit because he loves puzzle activities like this. This was a short lesson week because he ended up having a sleepover at grandma’s house, so we only did two lessons. The next day, we combined rabbits and rainbows with the help of this easy reader from Teachers Pay Teachers (Rabbit, Rabbit, what do you see?). We also used the R is for Rainbow printable pack from 3 Dinosaurs, Parts of a Bunny from Made by Teachers, and the rabbit number maze from Education. 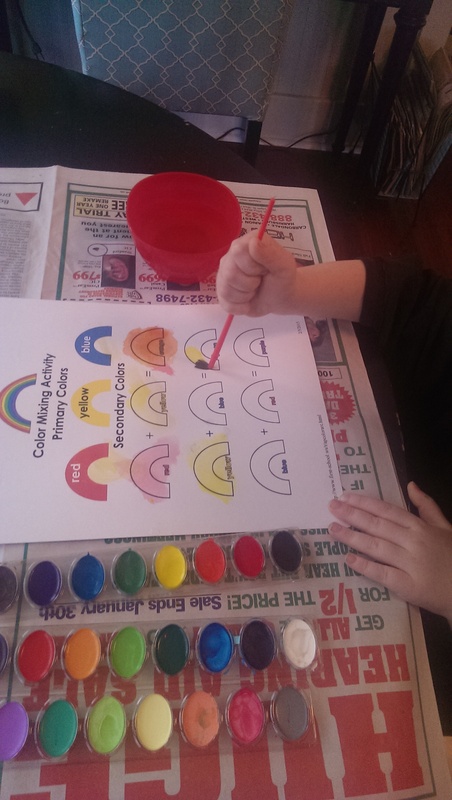 Then we got out the watercolors to explore color mixing with a color mixing rainbow activity from First School and painted a rainbow with the help of the Rainbow Easy Reader from 1+1+1=1.